How the other half deliberately slums. These young folks seem measurably cleaner than the usual crusties, and am I mistaken or is that a Jack Russell terrier? Even our street punks are gentrifying these days. How exciting is it to come and sleep on the streets of NYC and never interact with any locals/stores/bars/restaurants/etc? 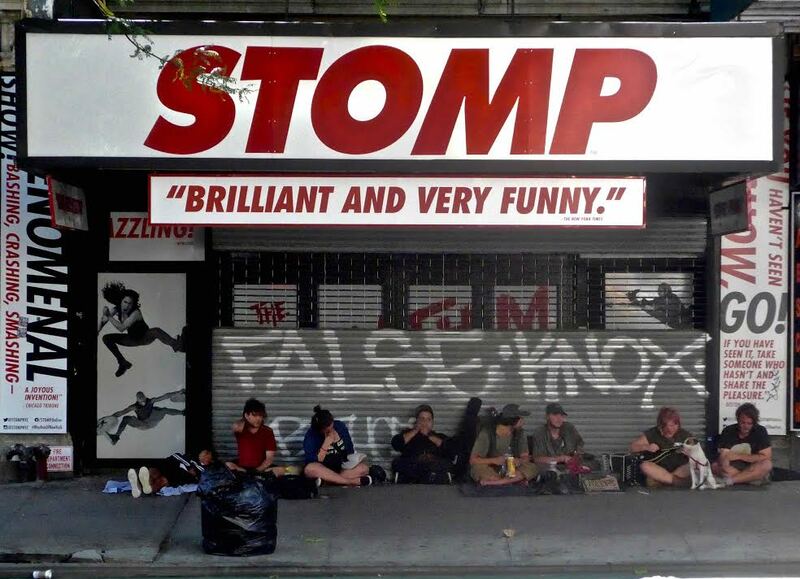 Ah the perennial summer fake homeless! And where is a beat cop to tell them to move along and don't come back to the spot? 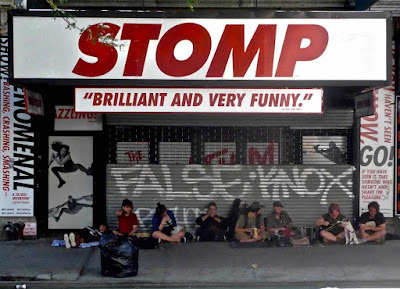 You should not be allowed to loiter/crash/campout/use the cement sidewalk as your own personal futon, on the best block of the east village.